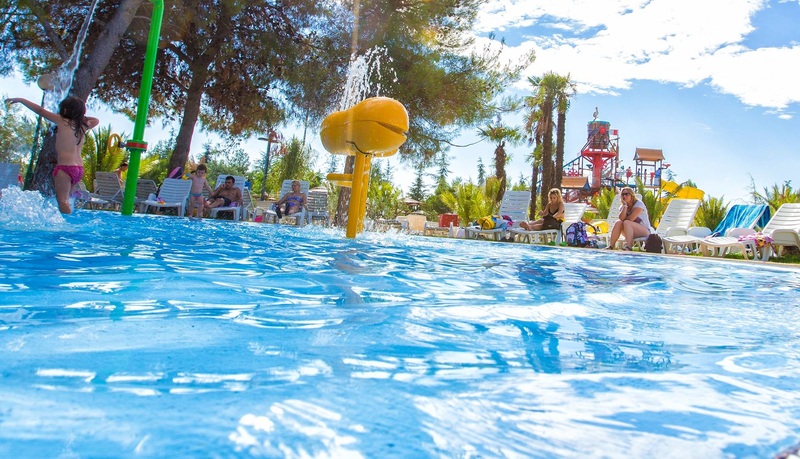 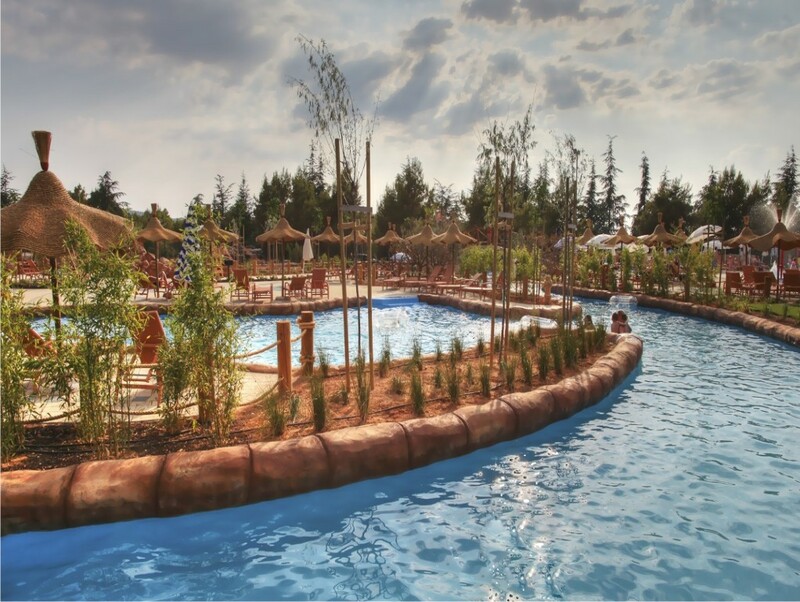 The first water park in the heart of Dalmatia is settled between Solaris Kids Hotel Andrija and Solaris Beach hotel Jakov. 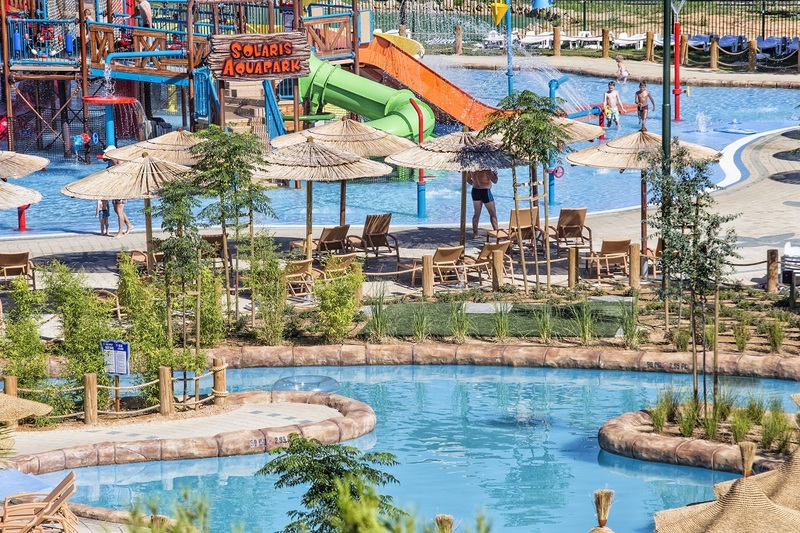 Together with the Family beach in front of the hotels, it will circle a story intended primarily for families with children, but also for everyone else with an adventurous spirit. 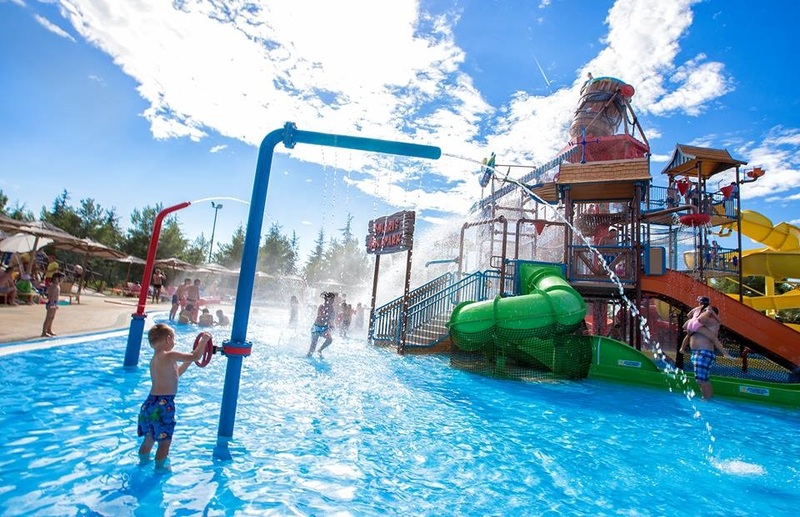 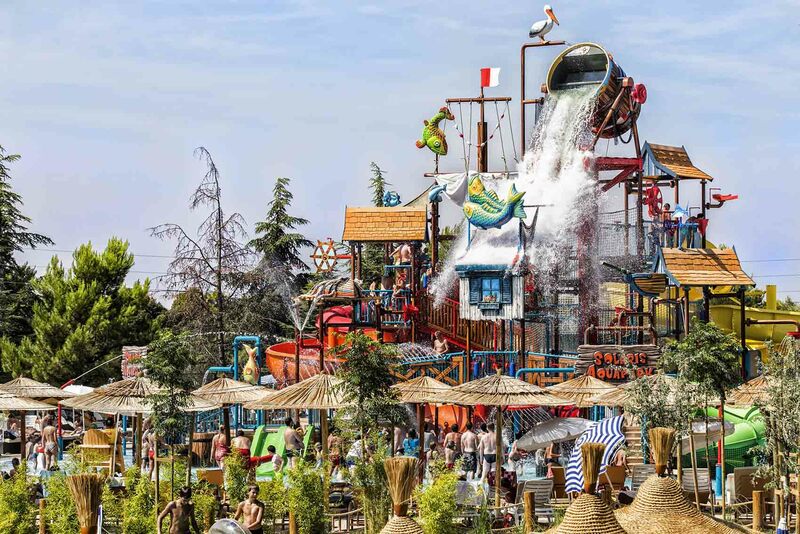 AquaPark is a very rich attraction with unique design. 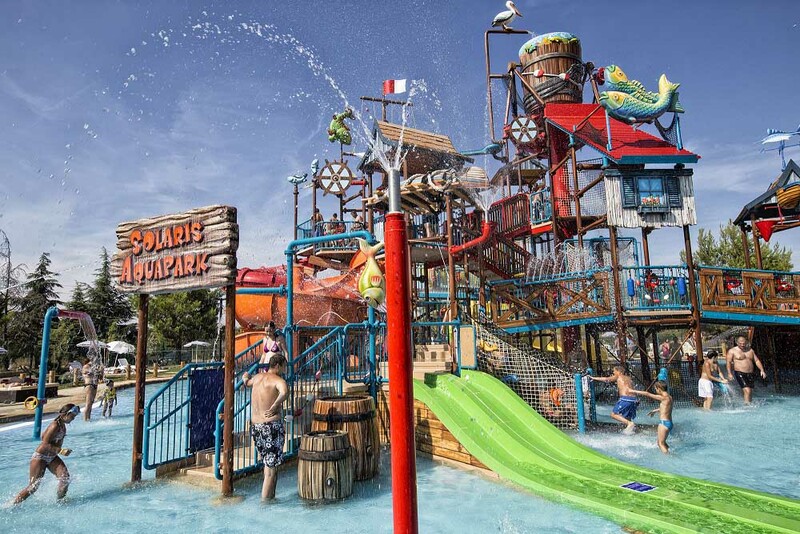 It involves a wide variety of family and social activities, games and curiosities, adapted primarily to children of all ages and adults. 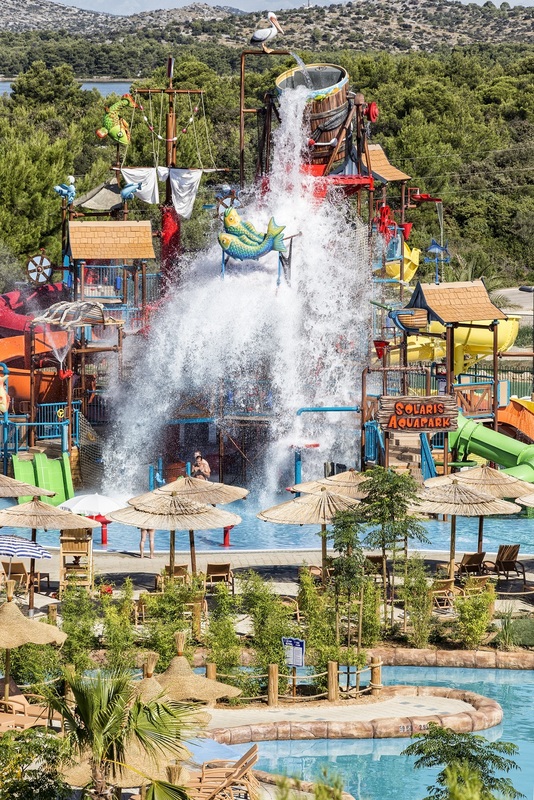 Up to 6 different slides, of which some reach high up to 13,5 meters, jets and waterfalls with numerous water effects are just a part of the adventure that will make you completely overwhelmed. 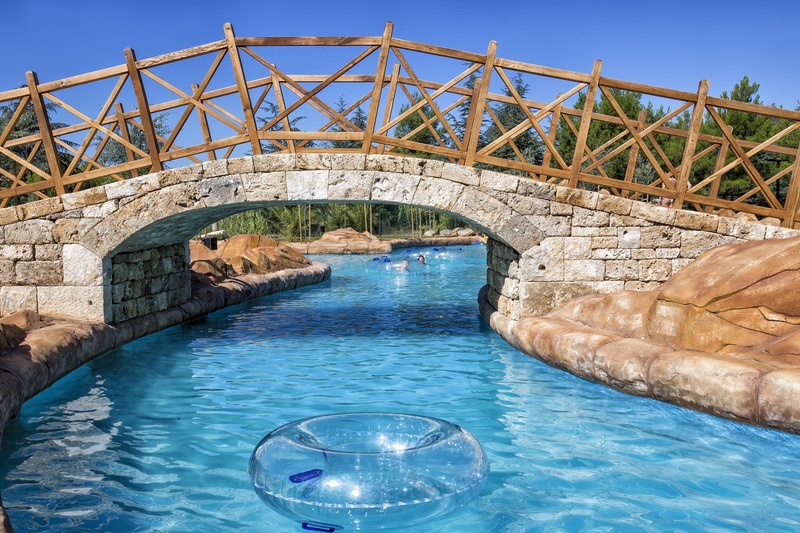 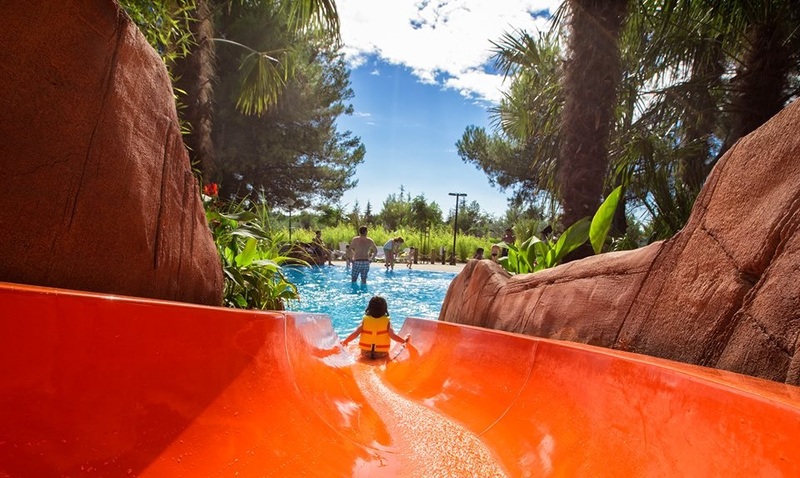 Take a short break in the comfortable tubes flowing down the ‘lazy river’. 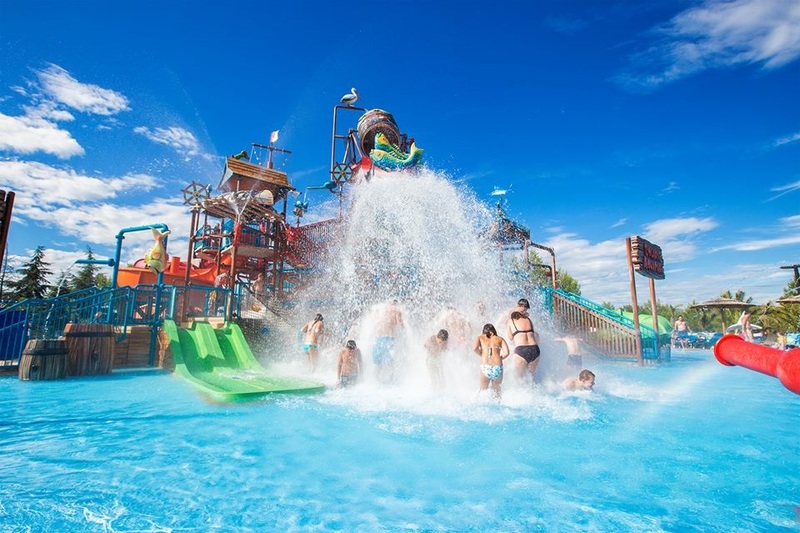 Enjoy all water effects with no time limit. 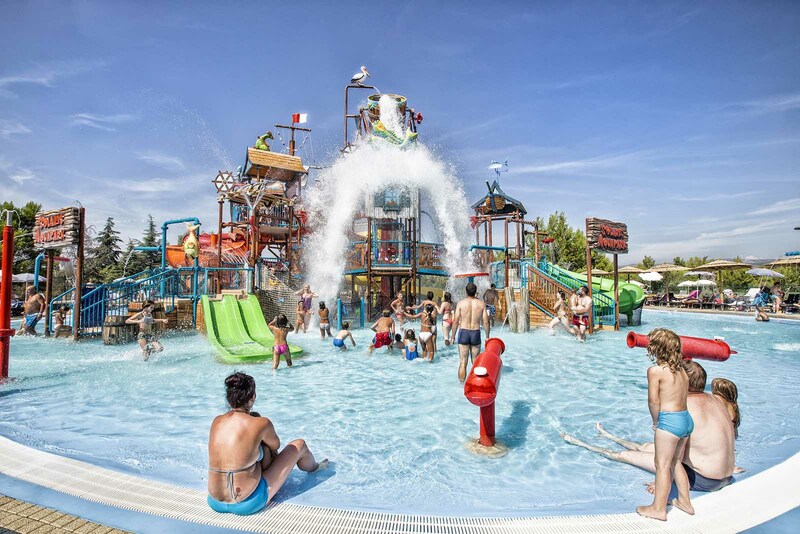 Kids play zone is particularly fun part of our Aquapark with shallow pools, sprinklers and slides adapted to small children. 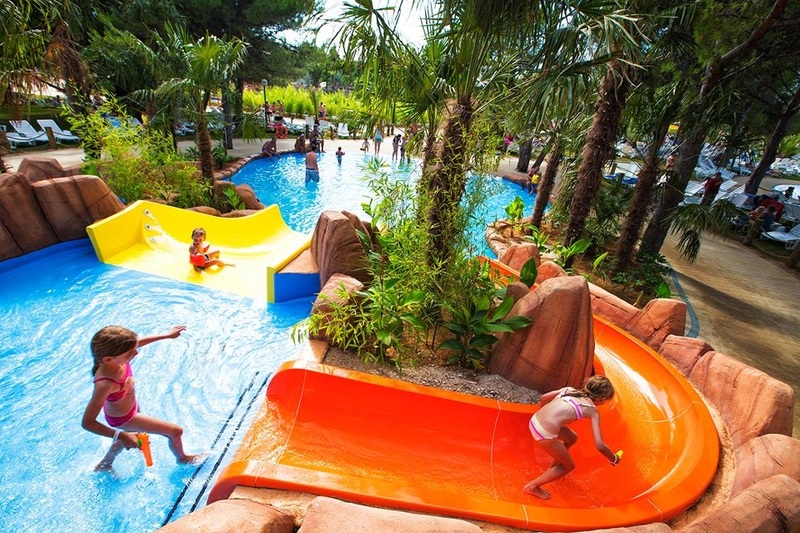 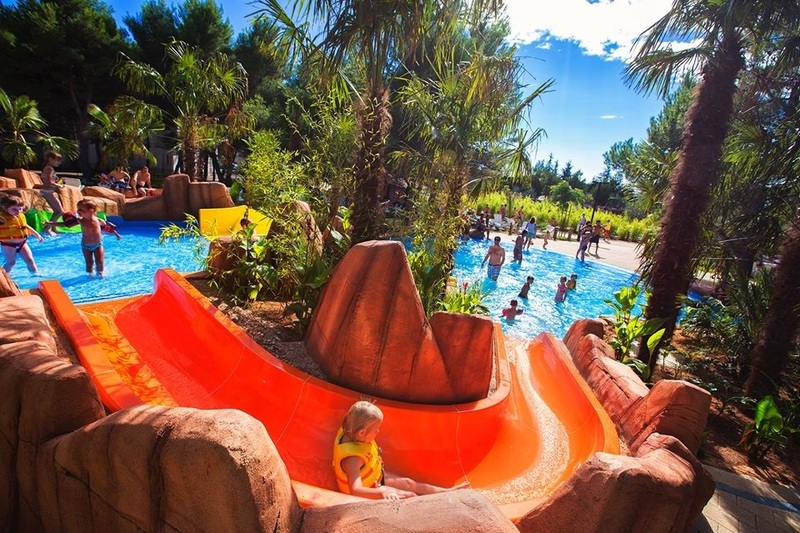 New playground in 2015 makes the Aquapark even more interesting for a true sea adventure. 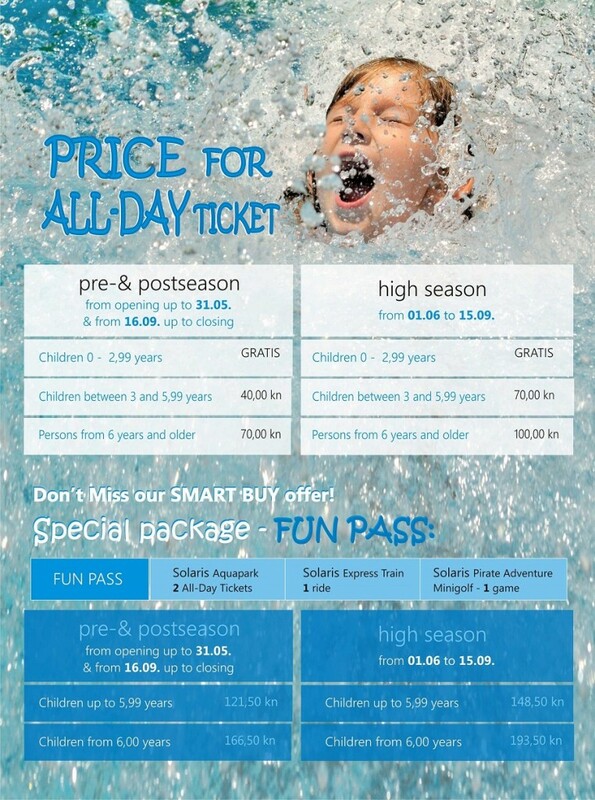 A submarine fairytale will certainly delight your children. 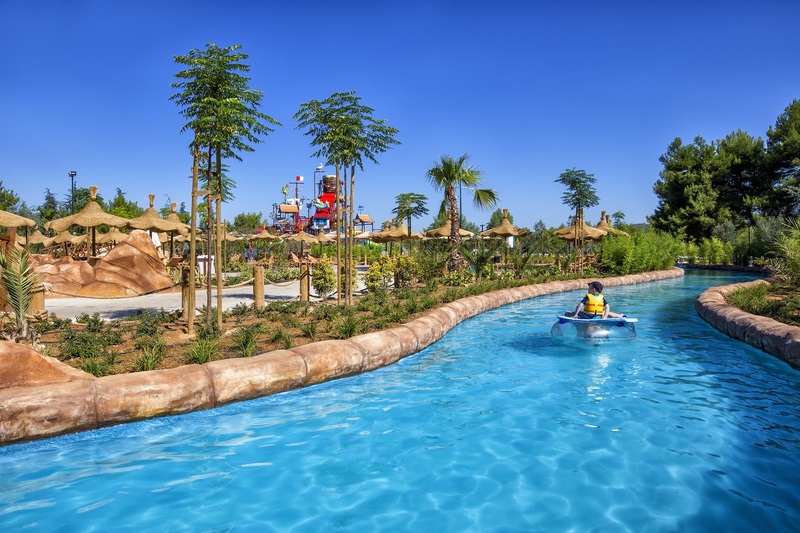 Explore the cave which can pass through decorated with a number of interesting marine characters who create a new spell in whichthe youngest will enjoy.